Need an outside PPC firm with a proven reputation? We have increased profits for our clients through effective Google AdWords management, including writing winning pay-per-click ads that get conversions. Want to maximize your profit from Google AdWords? Not getting the results you want from SEM or want to begin a campaign that will increase your bottom line? Our experts can create keyword-rich PPC ads guaranteed to engage your target market. Want higher quality PPC ads that generate real revenue? We perform extensive keyword research to ensure your pay-per-click ads are highly relevant. Get the most from your marketing dollars when you hire PPC Professionals. Need a dedicated team of pay-per-click professionals? Our team is as committed to your success as a team of in-house SEM employees, without the added overhead costs. Let us craft effective PPC ads that will increase your ROI. An integral part of writing great PPC ads, keyword research is the first step we take to make sure your Google AdWords ads are relevant and your campaigns successful. High quality pay-per-click ads that generate desired conversions are essential to a profitable PPC campaign. We have written countless winning ads that have generated significant revenue for our clients. Tracking the conversions of your PPC ads is something we do on a daily basis to learn whether or not they are performing well. We analyze these reports to be certain we are maximizing your profits with the best possible ads. We identify relevant keywords, create pay-per-click ads and optimize your landing pages for cohesive Google AdWords campaigns that deliver real results. Hiring a trustworthy pay-per-click consultant can help your existing SEM team become more knowledgeable and effective. Choose our agency and we'll teach your employees the ins and outs of creating great PPC ads. Our pay-per-click agency focuses on crafting high-performing pay-per-click ads that speak to your potential customers, increasing clicks and conversions. Effective PPC advertising is one of the best ways to improve your online visibility and increase sales revenue for your e-Commerce business. Our SEM experts possess the skills and experience necessary to place you ahead of the online competition. Well-written, keyword-rich PPC ads are the key to a successful Google AdWords campaign. We strive to create effective pay-per-click ads that not only rank well, but also speak to the people you want to click on your ads. Each day, we analyze the performance of the ads in your campaigns, identifying winnings ads from those that might need improvement. Our team is constantly conducting meticulous keyword research to make sure we are using all of the terms and phrases for which your target audience is searching. 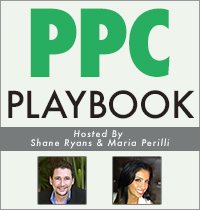 This ensures the best potential results from your PPC ads. Hiring an outside pay-per-click company is a great decision for companies that want revenue-boosting, expert PPC services for less than the cost of a team of in-house employees. We get to know everything about you and your business and are always available to answer any questions or address any concerns. The team at PPC Professionals is dedicated to your success, going to great lengths to deliver the service and results you want and need.